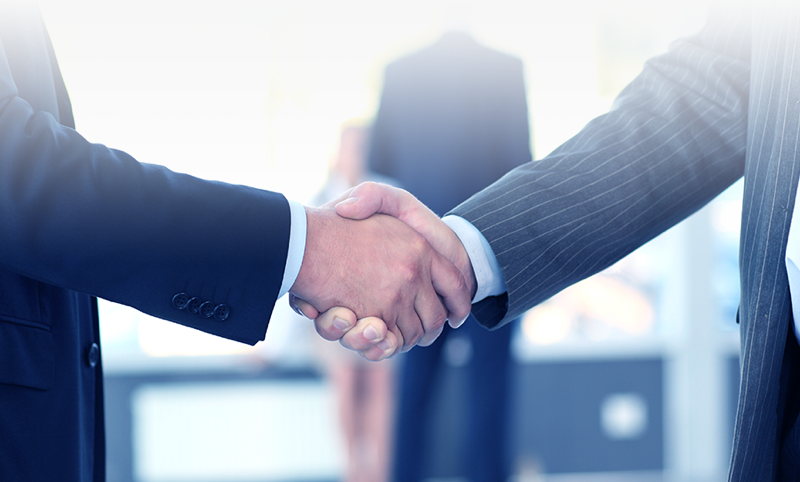 Vivitek’s NovoConnect’s main goal is to make any team collaboration more compelling and efficient. Each device introduces many opportunities to enhance the creative dialogue and encourage the flowing exchange of thoughts. 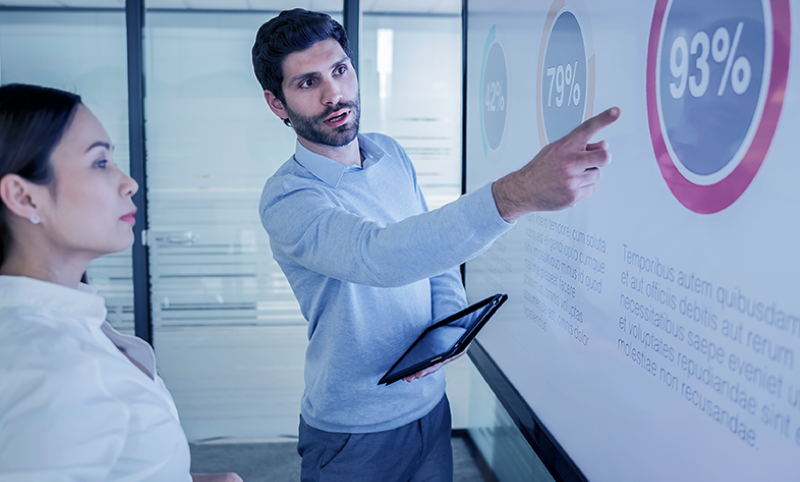 NovoTouch is the one solution that offers everything you need – it is an interactive screen coupled with interactive collaboration and advanced wireless capabilities. The NovoTouch effortlessly transforms any conference or class room into a collaborative shared central space. Thanks to Ultra HD 4K transmission the screens provide outstanding detail and stunning visuals. An anti-glare surface further improves visibility in ambient light environments. 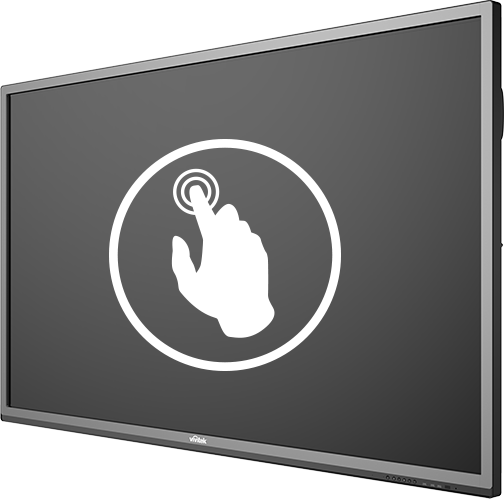 With 20-point touch capabilities, the range is easy to use with common gesture interactivity – simply use a finger, stylus, glove or other opaque edged item for interactivity and touch control. You may also present the materials using pens (included). The NovoTouch does much more than your average interactive screen. 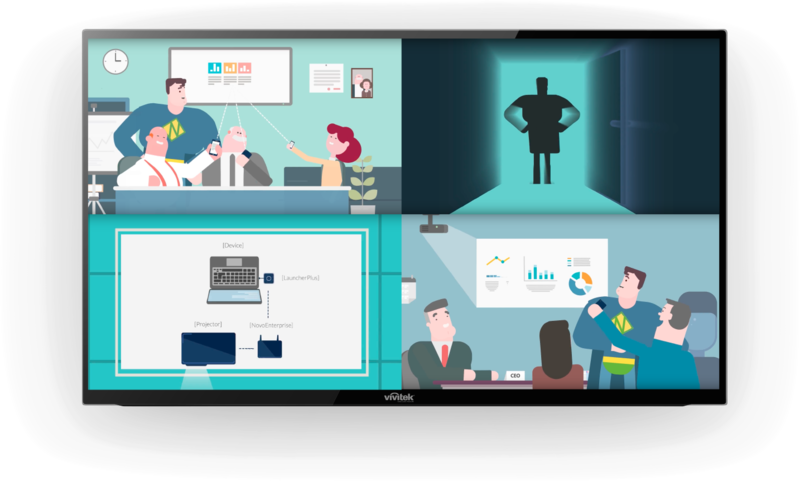 The power comes from the integration with the NovoConnect Solution which allows for up to 64 participants to connect in a digital workspace and wirelessly display their content to the main screen from tablet, smartphone or laptop. Even guests in a corporate environment can connect without any preparation by just connecting the LauncherPlus USB device to wirelessly connect to the workspace as well. 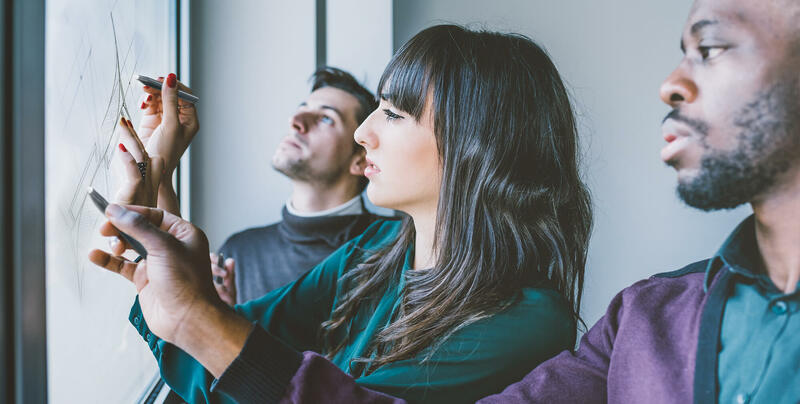 With the BYOD (Bring Your Own Device) principle, the new range of iFPD screens offer users complete cable-free connectivity to a variety of devices. It allows to display up to 4 screens simultaneously. 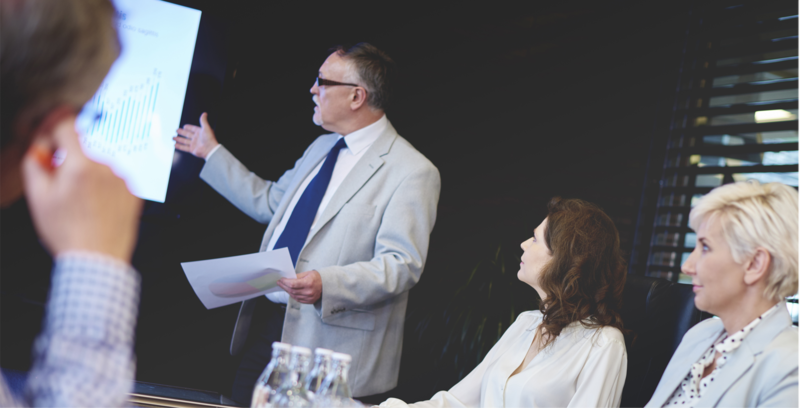 Collaboration tools such as the on-screen mark up and wireless file sharing turn NovoTouch into a truly collaborative solution to engage all participants in the meeting. Simply inspire, collaborate and create – the NovoConnect family devices provide endless possibilities to fit both education and business demands in viewing sizes ranging from 65 to 98 inch. Ps. Tip – a magnet in the pen and LauncherPlus are added for convenience to attach them to the NovoTouch frame so you never need to look for them.